- We were interviewed and published in English-speaking media, but didn’t have our website ready, so it became urgent to localize it. - We were also looking for tools that could do traffic analysis in multiple languages. - The English website was made available before the articles being published, and other languages can also quickly be added. Tell us about Tokyu Corporation. We focus on transportation, real estate and daily life services. Our railway business has a total of eight railway lines with 1.1 billion passengers per year. 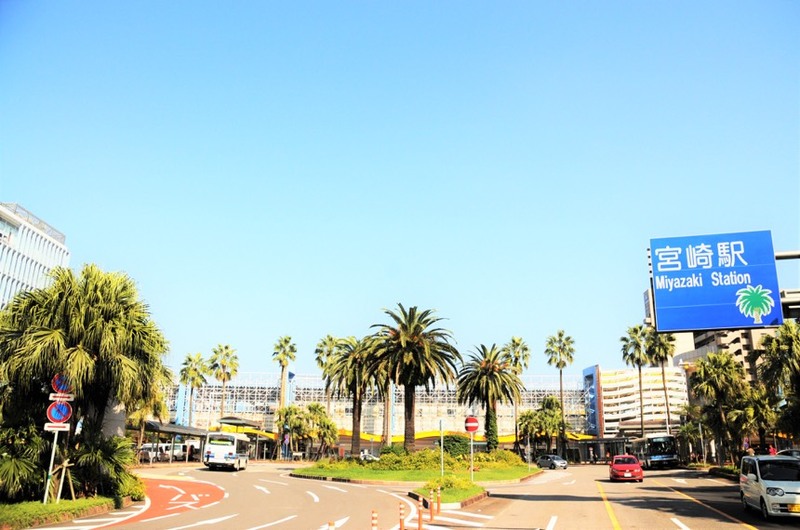 Our real estate business is engaged in residential development, including developments currently underway around Shibuya Station and Minami-Machida, and also in building management. In life services, we provide services that support people’s daily lives such as retail businesses and electric utility businesses. Tokyu Corporation connects Tokyo’s Shibuya area to cities like Yokohama and Yamato. In order for the Tokyu railway areas to continue being the railway areas people choose, I think that it’s important to build neighborhoods where people feel safe and comfortable. Therefore, instead of just building buildings, we plan towns that enrich our customers’ lives. For example, in the fall of 2018, we’ll be restoring the stream of the Shibuya River, which flows next to the large-scale complex facility “Shibuya Stream,” and we are cooperating with public and private organizations to prepare a 600m long promenade and full of greenery. The front of Shibuya Station is currently not very green and the area around the station has a complex structure, and so we’re trying to solve these problems and trying to make Shibya’s charm stand out even more. We also share our Shibuya urban planning projects on the “Shibuya Culture Project” website. “Shibuya Culture Project” is the website that you introduced WOVN.io to, but what kind of website is it? We launched the website twelve years ago. In 2002, it was decided that the Toyoko Line would go underground and, because that meant there would be vacant areas around the train stations, the trend toward redevelopment took on steam. We launched the website with this in mind and with the purpose of creating a better branding for the Shibuya area. We published contents that go from interviews with key figures active in Shibuya to content that appeal more to a niche market such as specific events and food. English availability became an urgent task. WOVN.io lowered the hurdles of multilingualization. What led to cooperation with WOVN.io? 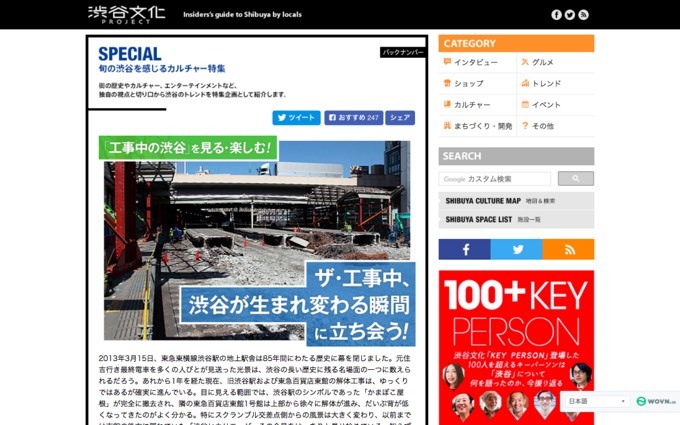 It started when we decided to publish tie-up articles with the English-language booklet “TimeOut Tokyo.” The Shibuya Culture Project hadn’t been multilingualized, so before we published the articles in English, we needed to quickly launch our website in English. At the beginning, the Shibuya Culture Project had everything from information about redevelopment for big cities to articles written from a local perspective. We thought this could be interesting among foreigners, so multilingualization quickly became a necessity. But cost and maintenance were an issue. We also hadn’t been able to analyze traffic for foreign language pages with the translation system we had used in the past. That’s how we learned about WOVN.io. A web design company introduced us. We decided to start using it with the library system because it could be run easily at a low cost and could perform traffic analysis in the same way that we do for our Japanese webpage. We first released our website in English. We’ve now added traditional Chinese for Taiwan and Hong Kong. How would you do it if you weren’t using WOVN.io? 10% of the website’s visitors are foreigners and our translated articles were indexed by search engines. What has been the effect of introducing WOVN.io? We are always able to provide fresh information, even for people overseas who visit the website. The domains are divided by language, and I am glad that we introduced it with the library system so that our translated content is indexed on search engines even when doing searches in foreign languages. The fact that SEO in English is high is another thing I’m happy about. Also, from the very beginning, the best-suited pages are displayed according to the language settings of the webpage visitor’s browser, which I think keeps people from leaving. Looking at the statistics over the last year, 90% of visitors look at the website in Japanese, and the remaining 10% accesses the website from outside Japan. After English, Russian is the most common language, and in terms of countries, the top two are the U.S. and Taiwan. Before we multilingualized, people left the website after only having looked at the pictures, but now the time spent on the website is longer, and I think we’ve been able to get people to take their time and read the articles. The Shibuya Culture Project publishes information that is not available in travel guidebooks and comes in handy to travellers. People in the media industry in Japan and abroad also seem to show interest in exclusive coverage of developments in Shibuya. What do you think about WOVN.io’s rate system? I can email any questions I have and I quickly get a reply back from my Account Manager and issues are resolved within 1-2 days. They’re are always polite in their replies, which is of great help as IT is not my strong point. Diffusion of timely information. We want people all over the world to enjoy Shibuya even more. Tell us your outlook for multilingualizing in the future. With the 2020 Tokyo Olympics, I think the number of foreign visitors to Japan will increase, so I’d like to strengthen our content in other languages. Right now, we only have English and traditional Chinese, so I’m thinking about introducing other languages soon. The Shibuya intersection is said to be the most visited spot by foreign visitors, but there is little information on what surrounds it. I want to allow people to enjoy Shibuya even more by sharing info on limited time events and Shibuya trends and information not available in guidebooks that only locals know about. 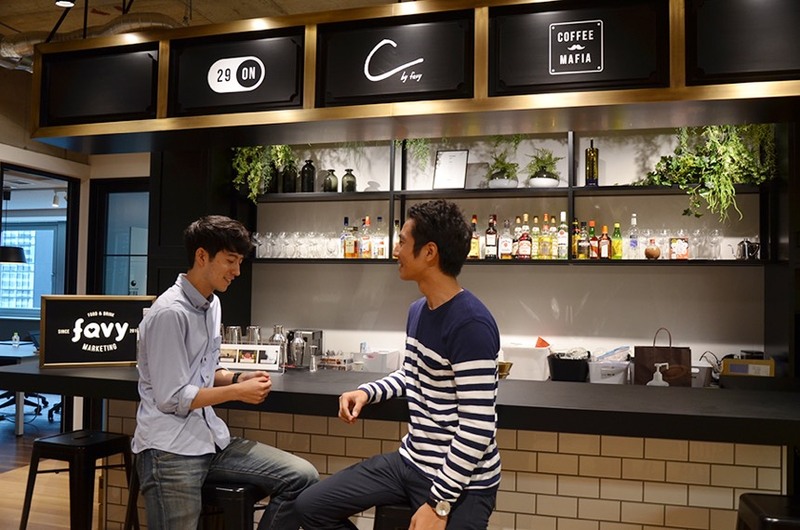 Tokyu Corporation develops businesses that are intimately connected to people’s lifestyles, with a focus on transportation, real estate, and everyday-life comfort. 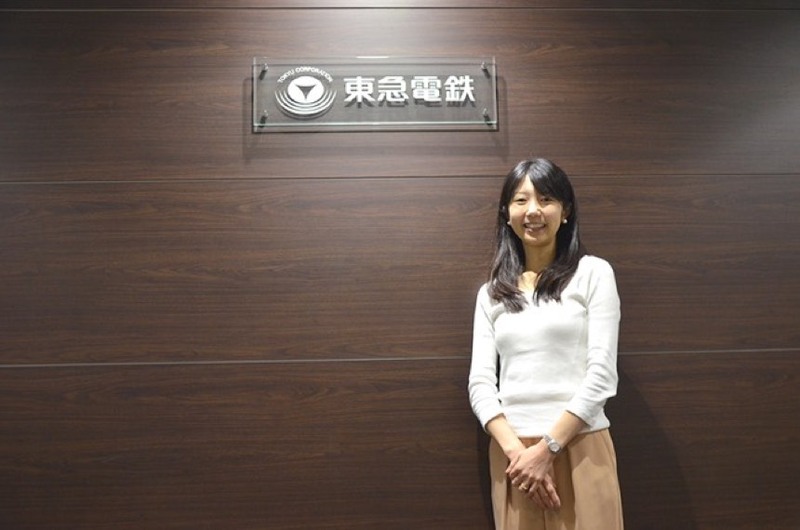 Tokyu Group continues to create neighborhoods and services that make daily life richer and more convenient for its users and those living in or visiting areas along railway lines. 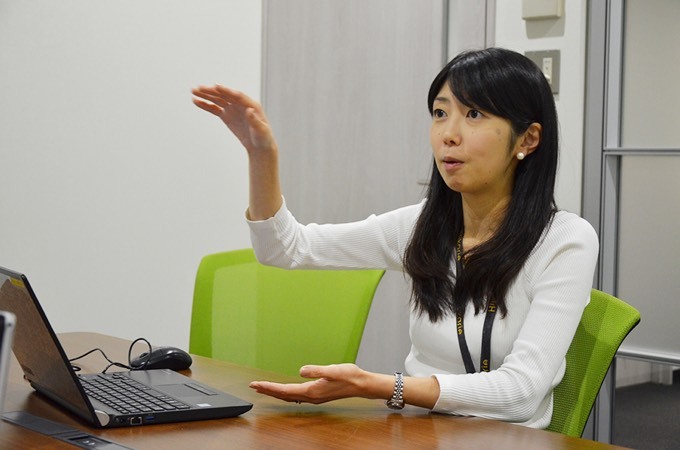 After her training at a train station and a hotel, Mai worked in the International Business Department, running the Shibuya Hikarie skyscraper, and a wide range of Tokyo Corporation’s businesses before being assigned to her current position.